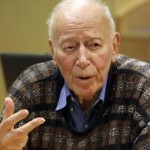 West Virginian activists Larry Gibson and Swarthmore alumnus Ken Hechler ’35 will speak about the devastating impacts of mountaintop removal coal mining, and the struggles of Appalachian communities to stop the practice. 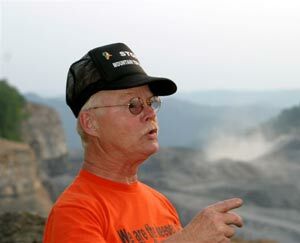 Mr. Gibson is the founder of Keeper of the Mountains Foundation and an icon in the movement against mountaintop removal. He has bravely resisted intimidation from the coal industry and inspired thousands of people across the country to join the movement. 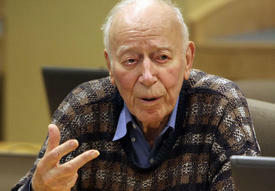 Mr. Hechler represented West Virginia in the U.S. House of Representatives for nearly 20 years, and also served as the West Virginia Secretary of State. 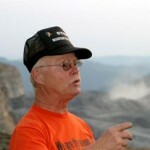 Since 2004, he has also tirelessly campaigned to end mountaintop removal. A photography exhibit by Mark Schmerling documenting the impacts of mountaintop removal will accompany the speakers. This is the first of several events this year with activists who are fighting on the frontlines of fossil fuel extraction. Keep your eyes open for more! Sponsored by Swarthmore Mountain Justice, Forum for Free Speech, the President’s Office, Political Science, Sociology/Anthropology, Peace and Conflict Studies, Biology, Environmental Studies, and the Alumni Relations office. 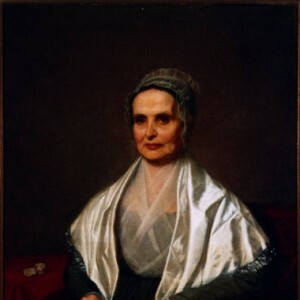 Lucretia Mott (1793-1880), Quaker minister, abolitionist and feminist, a founder of the American Anti-Slavery Society, the Philadelphia Female Anti-Slavery Society and the “guiding spirit” behind the First Woman’s Rights Convention at Seneca Falls in 1848, spent sixty years of her long life working for reform. This symposium marks the publication of historian Carol Faulkner’s new book, Lucretia Mott’s Heresy: Abolition and Woman’s Rights in Nineteenth Century America. The symposium also commemorates the contributions of Margaret Hope Bacon (1921-2011), author of Lucretia Mott: Valiant Friend and numerous books on Quakers and reform. 2:00 – 3:30 Lucretia Mott, Margaret Hope Bacon and the Rediscovery of the Early Woman’s Rights Movement and Radical Reform. Presenters: Beverly Wilson Palmer, Nancy Hewitt, Judith Wellman and Christopher Densmore. Presenters: Carol Faulkner, Ellen M. Ross and Bruce Dorsey.